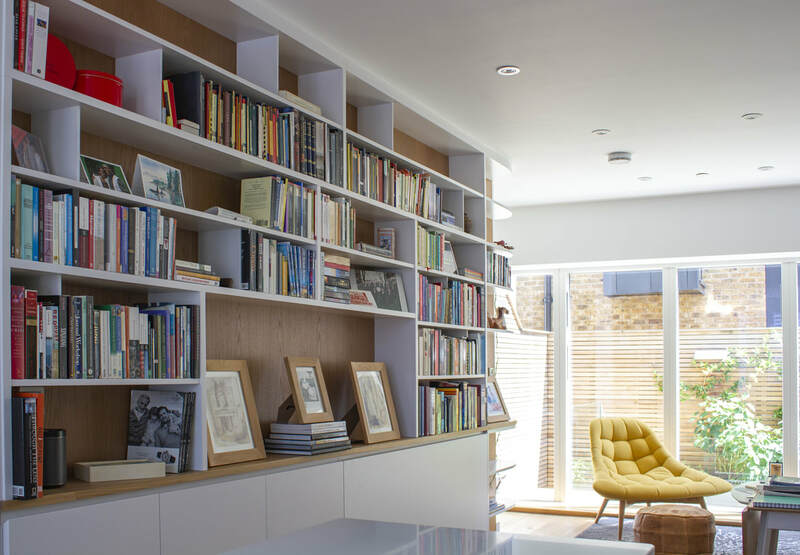 A landmark of East Dulwich, this property was refurbished to retain the Victorian villa characteristics. 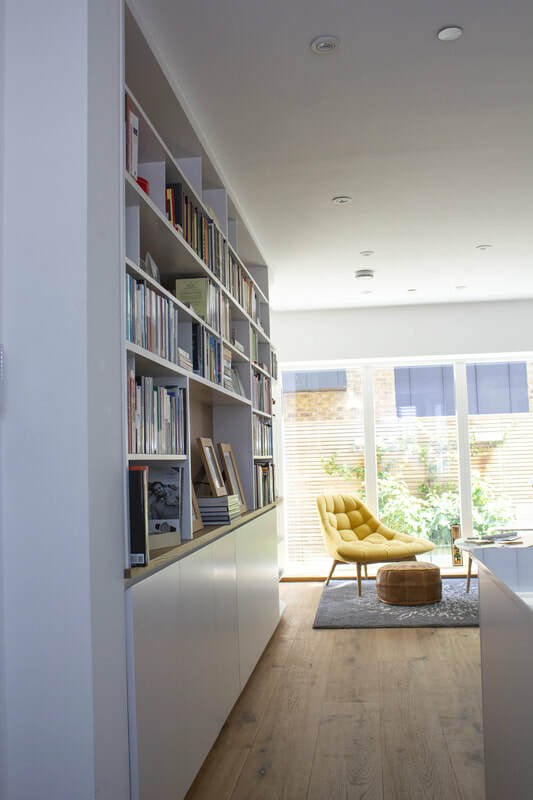 The property illustrates the perfect blend of historic and modern. 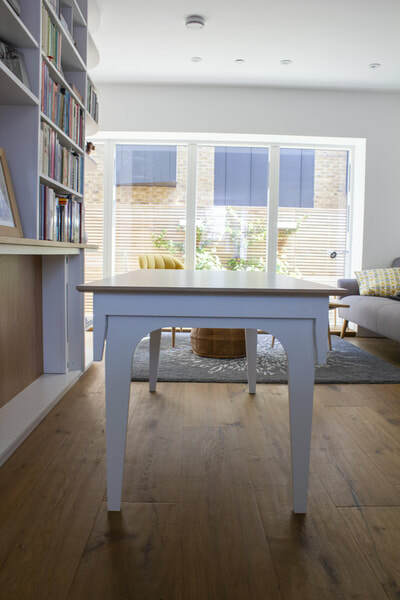 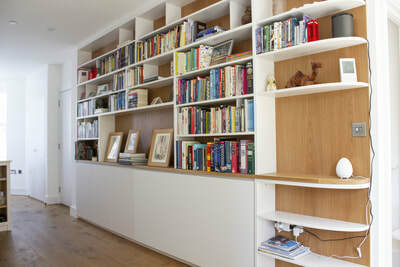 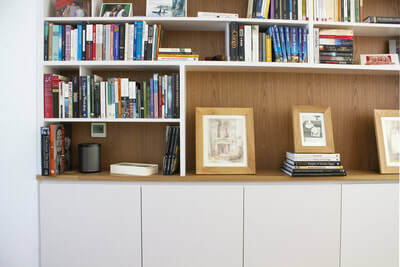 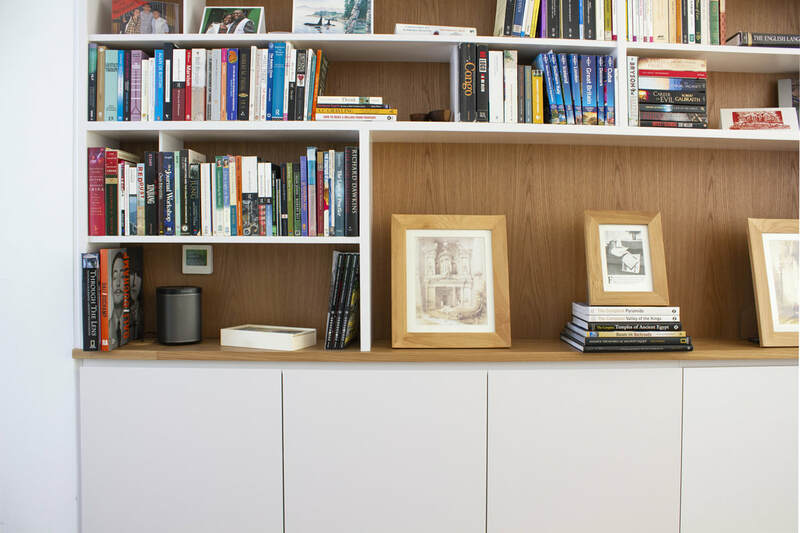 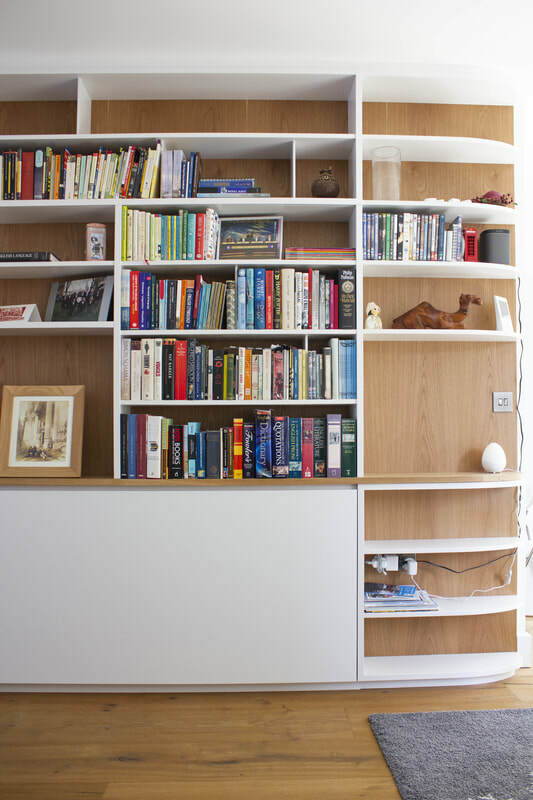 With a narrow kitchen/dining and lounge, our client wanted to utilise the space as best as possible for dining as well as book storage. 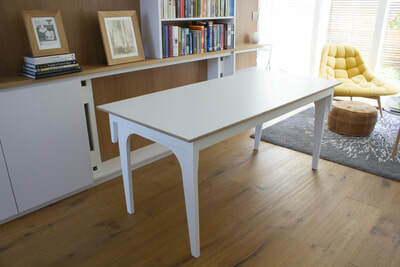 Therefore, we built a fully integrated, folding dining table to save space.